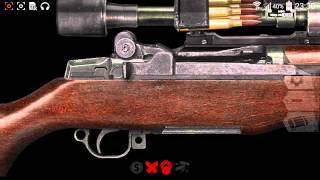 Игра "Weaphones™ WW2: Firearms Sim"
Experience the weapons of World War II like never before. Weaphones WW2 Edition redefines what the term first person shooter means. Don’t just play the game, be part of it. Take hold of your device and experience what it’s like to load, charge, clear and shoot a firearm.With Weaphones WW2 you can live out your greatest gun fight fantasies and remain 100% safe. 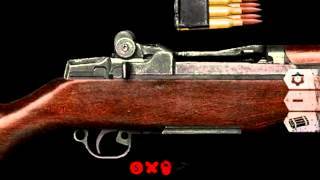 Weaphones features some of the most iconic firearms of WW2, from the German Luger to the American belt-fed M1919. Many of the weapons are customizable; add bayonets, scopes, bi-pods and more! 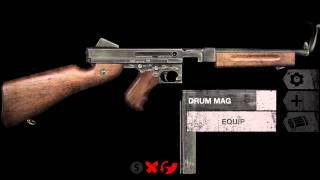 If you don’t know how to operate a particular weapon, brush up with our fully animated step-by-step tutorials.From the high-definition, battle bruised, pistols, rifles and machine guns, to the authentic weapon mechanics mixed with realistic smoke, recoil, muzzle flash and sound effects, Weaphones is all about realism. Everything is customizable to suit the user. Change the size of the weapon to place all controls within easy reach. Rotate and flip to best suit the device and hand preference. On supported devices, enable the camera flash feature and further enhance your experience by leveraging the power of the built-in camera flash to simulate a real muzzle flash. For the price of one .30-06 Springfield round you get everything. No up-sells or in-app-purchases, just pure fun and free updates (new guns). 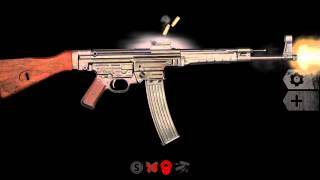 _______________________________» Realistic Fire, Sound, Smoke, Flash & Recoil Effects» Full Interaction and Control» Authentic Weapon Mechanics» Customizable Weapons» No Up-Sells or In-App-Purchases, You Get Everything Plus Free Updates» Detailed Full HD Graphics» Customizable to Fit User’s Hand Size and Preference → Lefty Flip → Rotate 180° → Scale → Move» User Adjustable Variables → Unlimited Ammo → Auto-Reload → Weapon Jamming → Accelerometer Reloading → Camera Flash Shooting» Weapon State Indicator (“Why Am I Not Shooting?”)» Ultra Detailed Step-By-Step Animated Tutorial for Each Weaphone» Multi-Touch, Accelerometer & Camera Flash Support» Social Media Driven Future Content_______________________________Interactive Features:PISTOLS: » Trigger » Cocking Handle/Decocking Handle » Magazine Release » Safety » Magazine » Slide Release » HammerWEBLEY REVOLVER: » Trigger » Hammer » Cylinder » Rounds » Barrel Assembly » Barrel CatchSMGs: » Trigger » Charging Handle/Safety » Magazine Release » Fire Selector » Magazine » Suppressor » Drum MagazineM1 CARBINE: » Trigger » Charging Handle » Safety » Slide Stop » Magazine Release » Magazine » Folding Stock » BayonetSTG 44: » Trigger » Charging Handle » Magazine Release » Fire Selector » Safety » Magazine M1918A2 BAR: » Trigger » Charging Handle » Flip-up Sight » Carry Handle » Bipod » Shoulder SupportM1 GARAND: » Trigger » Safety » Operating Rod » Clip » Clip Latch » Bayonet » Scope » Flashhider K98K / MOSIN NAGANT: » Trigger » Bolt » Safety Lever » Stripper Clip » Solo Round » Bayonet » ScopeM1919 / M2 BROWNING: » Trigger » Charging Handle » Receiver Cover » Belt Ammunition » Ammo Box » Flip-up Sights » Carry Handle » Bipod » Tripod » StockMG42: » Trigger » Charging Handle » Receiver Cover » Belt Ammunition » Ammo Box » Flip-up Sights » Safety » Bipod » TripodM2 FLAMETHROWER: » Tanks » Igniter Safety » Igniter Trigger » Fuel TriggerTYPE 97 HAND GRENADE: » Pin/Rope » Protective Cap_______________________________» Please rate, review and join us on Facebook and Twitter to help decide what the next Weaphone should be.» If WWII is not your thing, check out the original and highly rated Weaphones: Firearms Simulator app featuring 20+ modern weapons, search “Weaphones”. Застрял на одном из уровней. 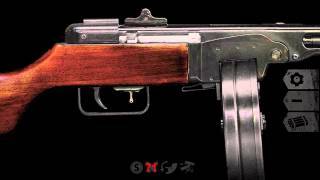 Как пройти "Weaphones™ WW2: Firearms Sim"? 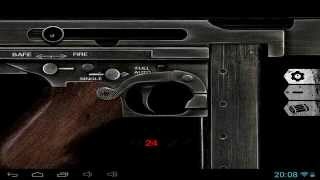 Почему "Weaphones™ WW2: Firearms Sim" не устанавливается? Скачал, но приложение не запускается, вылетает с ошибкой. 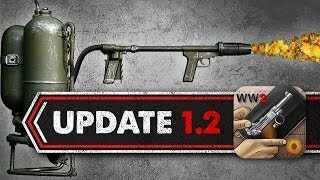 Мой смартфон работает на андроиде версии 5.0 Lollipop, смогу ли я установить "Weaphones™ WW2: Firearms Sim" на карту памяти? Как установить версию "Weaphones™ WW2: Firearms Sim" для ПК с Windows? Ergonomically designed, Weaphones fit naturally into the shooter's hand. All the important controls are located within a finger's reach. The ability to resize, flip and relocate the Weaphone assures perfect fit no matter the size of hand or screen. For the price of a couple of 5.56mm rounds you can have a full arsenal of Weaphones... and you won't shoot your eye out. GRENADE: » Spoon » Pin » Variable TimerExperience the weapons of World War II like never before. Weaphones WW2 Edition redefines what the term first person shooter means. Don't just play the game, be part of it. Take hold of your device and experience what it's like to load, charge, clear and shoot a firearm. With Weaphones WW2 you can live out your greatest gun fight fantasies and remain 100% safe. 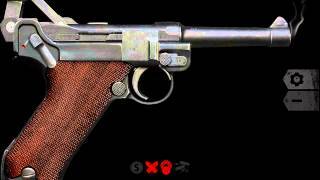 Weaphones features some of the most iconic firearms of WW2, from the German Luger to the American belt-fed M1919. 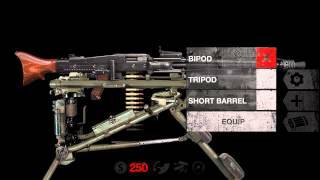 Many of the weapons are customizable; add bayonets, scopes, bipods and more! If you don't know how to operate a particular weapon, brush up with our fully animated step-by-step tutorials. Оценка 4,6 из 5 на основании 6821 голосов.